Diane Hoch, CHC, founded The Food Evolution in 2010, and is currently its CEO. She is a natural foods educator, chef, health coach, and wellness expert. Diane received her nutrition education at the Institute for Integrative Nutrition and continued her culinary education at the Natural Gourmet Institute in New York City. Due to her formal culinary training and natural passion for cooking, Diane has mastered the ability to create nutritionally well rounded foods for families. She has developed a reputation for inventing delicious, nutrient dense recipes that benefit a variety of demographics, especially those with dietary restrictions. Diane inspires communities to recharge their immune systems by sharing ways of incorporating healthy behaviors into their life. She is on the forefront of tackling some of the country’s largest health issues. In addition to her work at The Food Evolution, Diane also serves among a number of community organizations. She is a Physician’s Committee for Responsible Medicine (PCRM) educational alliance partner, the President of the Rockland Coalition for Better School Food, a 501(c)3 non-profit, a founding member of the Rockland Farm Alliance, a Rockland County School Health and Wellness Coalition member as well as a monthly guest chef and nutrition educator at The Lodge at Woodloch in Pennsylvania. Diane regularly hosts lectures and demos in libraries and schools in the Greater New York Area, and educates at doctor’s offices as well as hospital wellness program events. Diane has also produced informational videos featured on health and wellness websites where she teaches family recipes, informs the public about incorporating powerful superfoods into their diet, and speaks about current health trends. 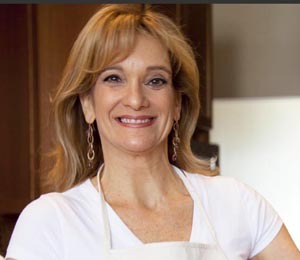 She has been featured as a nutrition and wellness expert on Livestrong.com, Demandmediastudios.com, Lohud.com, youtube.com and Ehow.com, where she demonstrates how to properly select and prepare produce, shares delicious and nutritious recipes, and communicates the significance of having a well-rounded diet. Diane encourages her clients and students to incorporate more vibrant plant based, seasonal, and local foods into their diet. She believes these small shifts will have a substantial impact on health, weight, and energy. Diane wholeheartedly believes in the power of food as medicine and strives to educate communities about natural, preventive methods of healthcare. Diane has been commended for being a highly relatable and resourceful chef to her community. She effortlessly correlates her experiences as a mother of three with her education of family wellness and offers advice on how to easily nourish taste buds and immune systems through home cooked meals. Diane is a crusader, reaching one family at a time. She believes in finding the balance as a busy mom, and as a woman trying to support others wanting to raise a healthy family. She strives to share what she knows by creating an accessible network of information. The Food Evolution was built to do just that. Diane’s passion stems from truly caring about children, she believes in the significance of being a mother. As the food system continues to change there is a sea of confusion about what is healthy and what is not, and helping people make sense of that is what Diane finds most rewarding. Diane reminds people that the human body is reacting to its environment and how food is grown, and that our actions need to shift along with it. To book a consultation regarding private nutritional health counseling, or if you have inquires about any of our programs email: dianehoch@thefoodevolution.com or call 845-507-0260.